The Continental Vanco Eco has been designed for the Ford Transit, Volkswagen T5 and the Mercedes Sprinter.These are some of the most popular vans on the market today.This tyre will not only perform well on dry and wet roads but will also give you good handling and precise steering.The tread has been designed to give a lower rolling resistance meaning more miles for your money.All in all a great all round performer that is very popular with many drivers. The Continental Vanco Eco has been designed for the Ford Transit, Volkswagen T5 and the Mercedes Sprinter. 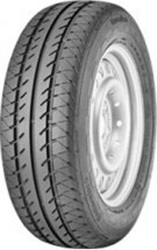 These are some of the most popular vans on the market today.This tyre will not only perform well on dry and wet roads but will also give you good handling and precise steering.The tread has been designed to give a lower rolling resistance meaning more miles for your money.All in all a great all round performer that is very popular with many drivers.